NETRONIC offers MES IGA: an MES software for paper, paper finishing, nonwovens and plastic foils that has been proven for almost 30 years. The system can get fully integrated with any ERP system and can get easily adapted to meet the individual demands of any strip material producer. Manufacturing execution differentiates from production planning via the direct connection to the distributed production automation and control systems. Hence, MES allows to manage, control and execute production in real-time. This includes classical plant data collection, machine data capture as well as other process data which have an immediate impact on the production process. However, the specific conditions of strip material producers such as a multi-stage production of roles rather than of pieces defined by a structured bill-of-material result in very particular requirements for the applied manufacturing execution system. All of this is achieved with our manufacturing execution software MES iGA which also includes a laboratory information management system (LIMS). The core product MES iGA has been continuously enhanced since 2001 (initially by iGA and from October 2015 by NETRONIC). It is made to build custom solutions enabling a timely and resource-saving execution of production orders in the strip material industry. The MES iGA connects the ERP system with the production units and hence establishes a flexible link between the shop-floor and administration/ planning. This increases the transparency of all relevant process data and provides valuable input for an improved quality management. Consequently, the MES data can get tranferred seamlessly into a laboratory information management system. Three reasons why the MES iGA is a good fit for you. The MES iGA is designed in a modular way. Hence, it comes with a clear "product core" which then can be used to create individual solutions on this robust fundament. This "easy individualization" is something that even large standard offerings cannot offer. 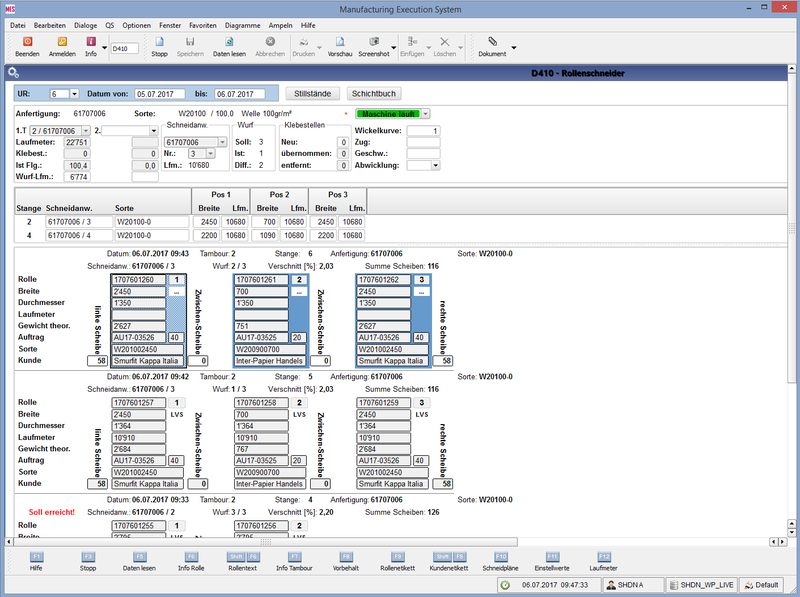 The manufacturing execution software has been proven as solution for strip material producers. Almost all manufacturing machines nowadays provide comprehensive production data, of which the potential typically does not get fully unleashed. In order to support production processes with these machine data via the MES IGA, NETRONIC implements interfaces to any kind of machines so that the MES spans the bridge from the shopfloor to your ERP. BauschLinnemann provides coordinated decor and surface solutions from a single source – coordinated decorative design from floor to ceiling. The range covers flat foils, wrapping or floor foils and melamine edgings - any application can be transformed into reality in furniture and interior design, flooring or property development, for caravan design or in other areas of the wood-based manufacturing industry. Freudenberg produces nonwovens for a wide variety of applications. Customers come from the textile and automotive industries as well as many other sectors. The Papierfabrik Schoellershammer produces both fine paper as well as corrugated board base papers. The MES iGA consists of two core modules, which can be used both stand-alone and combined. The core value propostion of the MES iGA - the management, control and execution of production processes - is based on an effective plant data capture and the respective illustration. Overall, the system is highly flexible and can get easily customized to any individual need. Any question on our MES iGA? Please let us know and we'll get back to you shortly.